I think I'm participating in close to 40 this year. Yes I know I sound crazy but I chose ones like contemporary romance and cozy mysteries because I read those anyways. I did try some new ones such as new author and new genre to challenge myself a little bit. I can completely understand your reasons not to though. I wanna push myself and get overwhelmed as well. Wow, Ashley. 40? How do you even keep track of them all? I can see signing up for challenges in genres that I already read. But then I could see myself feeling guilty for reading a genre outside one of those challenge genres. Good luck with them! I was totally not going to do any challenges this year (besides the GR one). Then I decided to do the Popsugar one because I feel like it makes me read outside my comfort zone which I like. And it is only 40 books. I also am doing the rock my TBR one because well I need a push to read all those books I already have! Still I totally get it and depending on how this year goes may not do any next year. Great post! Grace, if I were going to do a challenge, the Popsugar one would have been the one. I was very tempted. I have been trying to read outside my comfort zone and I figured that would be the perfect one. But I still feel like it would just make me so tense. I am so weird, right? ha. Good luck! I like reading challenges that help me choose books to read (like Read Harder or Book Bingo). And I do set a reading goal for the year. But otherwise I don't like the pressure of having to read. Reading is for pleasure. So true Kwizgiver. Reading shouldn't be work and I feel like the challenges make it too much work. I don't participate in any specific reading challenges. My only goal this year is to get to more of the older books I have from before I started blogging. First of all, all your reasons sound very similar to why I'm stopping requesting ARCs for the most part. I'm a mood reader too and I just end up in a book slump when I force myself to read something I'm not into. And YES, the pressure is REAL. I also skipped challenges this year because I just lost track of them all last year and, while they were fun the first couple months, I kind of got bored. I never rememebered to update and I never remembered what I was supossed to read, when. I'm actually really proud of myself because there were a few I was so close to signing up for this year but it would've just been a waste of time because I'd forget about it halfway through the year anyways. I feel like I just do better setting my own chalenges, you know? Alberta, yes thetis pretty much the only reason I set any kind of goal for the Goodreads challenge too. I like to keep track of how much I read each year. But beyond that, I just can't make myself read a certain genre or whatever. It's exactly like a cage! Library Huntress, wow . . . 20 challenges! That does sound a bit crazy! Great job on becoming a bit more free range. I am trying my best to be that way too. I don't want to read just to review for the blog. I want to read whatever I want! I'm a mood reader myself, so reading challenges don't work with me either. I'm not a disciplined reader as well, so I've never been successful with any reading challenges. Joy, I hate when there are books I really want to read, but I can't because they don't fit in a challenge. I'm glad I am not the only one who can't deal with reading challenges. I am go glad that someone else said this. I really thought about skipping it, then I thought about having a gap, and then I freaked out. But I don't want to look at my number and secretly beat it. I don't even want to look at the stupid counter this year. I honestly will just drop it down to whatever number I have read by the end of the year, because I am finding that I am killing my own reading mood. So, I say, you go, girl! Read what you want! Thanks so much Lyn! Yeah, the number I set for Goodreads was less than what I read last year. I have no doubt I could beat that number if I really wanted to, but I don't need that pressure in my life! I am SO GLAD that I am not the only one who freaks out about how many books they're ahead on Goodreads and ALWAYS needs it to be more. Confession? When I see how far ahead you are, it makes me insanely jealous. I might even get a little annoyed with my humans for a hot minute. My challenge, while lower than yours, is NOT going to be easy- it's one book more than I read last year, and last year was my best reading year ever. But yes, your reasons are EXACTLY why I don't do challenges. Between ARCs and my own self-destruction, if I did challenges you'd probably find me rocking back and forth in a corner with my shirt over my face. Shannon, I completely get the jealousy thing. When I see people who have read even more than me, I get jealous too! Honestly though, I have no job and no kids so that's part of the reason I get so much reading done. That, and the fact that I am a speed reader. But I have seen people who were able to read more than 300 books last year! Then I start wishing my numbers were like that. But there is just no way. I am impressed that you get as much reading done as you do since you do have little humans! Nope, no reading challenges for me either! I have pretty much the same reasons as you. It just makes reading too stressful for me, trying to keep track and read certain books at certain times and certain amounts. And you gotta make extra blog posts to talk about your progress which is just too much work. I do still do the GR goal though. But I set it to a number significantly lower than what I read last year so that I won't go all crazy stressing about it. Kristen, oh yes so much stress, right?!? Crazy! I did set my Goodreads number lower than what I read last year. Now I just have to refrain from obsessing about the counter and trying to beat the number. Why do I even do that?!? I'm with you, I prefer my reading stress free! The only challenge I do is my own Dust off your Classics and that is totally pressure free with no goals or deadlines! And I sign up for the GR challenge but only so I can see how many books I read, I pay no heed to it apart from that. I found myself tempted when I saw all the 2016 sign up posts but I know from experience they just don't work for me. Trish, I know, even though I KNOW challenges can drive me crazy, I have been so tempted to sign up for one or three of them. Ha. But I remembered last year and knew that I was better off without them. I've had a couple of years without challenges and I felt hardly any pressure. It was great! But now I want to have some fun this year so I've signed up for quite a few :D I find it really fun to read a book and then figure out if it fit into a category/challenge or not. I'm weird, I know haha. I'm doing my own GR Awards challenge, a classics challenge, the debut author challenge, as well as a couple of others. Amber, I do hope you enjoy the challenges you signed up for. I don't think you're weird for trying to find a category for the books you read at all. My problem is that I read books I don't want to read at the moment because it will fit into a category. Not good. Good luck with yours! My first year blogging reading challenges were all the rage. Everyone did them and everyone was in at least a dozen. I was in even more. But I quickly learned that my reading speed did not so much coincide with my desire to diversify my reading or complete a certain number of books in a time frame. I can barely handle perpetual challenges or the Goodreads how many in a year challenge. It's so much pressure! Becca, I'm glad someone else feels the same way! Oh the pressure!!! 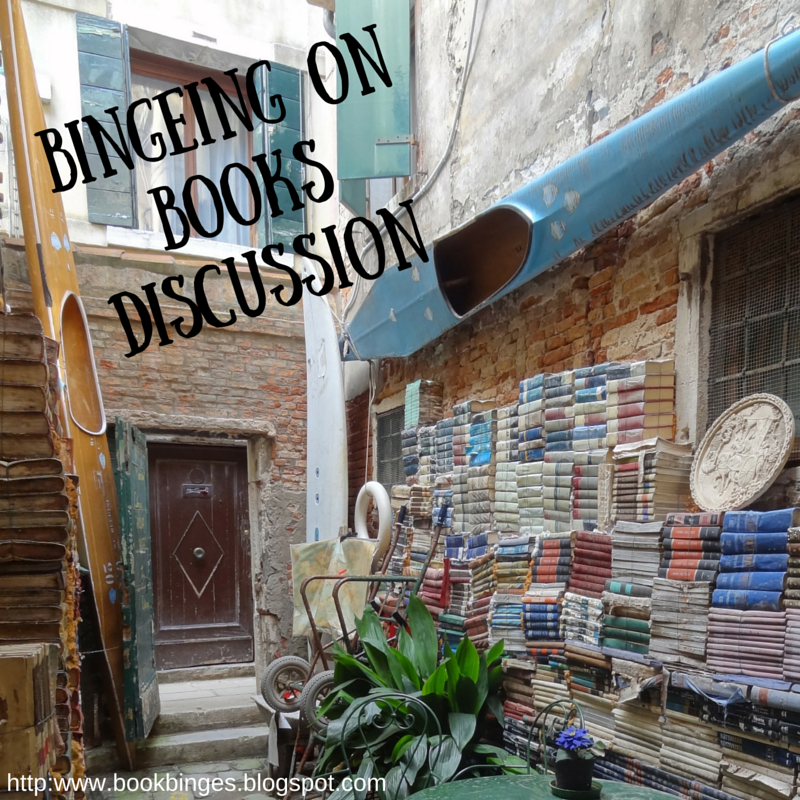 I have only done two reading challenges so far the Bout of Books and Clean-Slate-A-Thon, which both didn't have to many requirements just update your post with how much you read. I haven't done any of the other challenges with specific lists because I agree I read what I am in the mood for. Reading Tounwind, I have done the Bout of Books every time and I love that one, mainly because it focuses on reading whatever you want instead of a specific genre. I have so much fun with it! I've found that I've allowed myself to relax about reading challenges and not stress too much about how I'm doing. I'm just not that super competitive - even with myself. I DO want to read the number of books in my GR challenge, but when life got really busy last year, I was okay with reducing it from the year before. So, I feel like the goal pushes me, but doesn't make me crazy. If it makes you crazy, then you're completely right to ditch it completely!